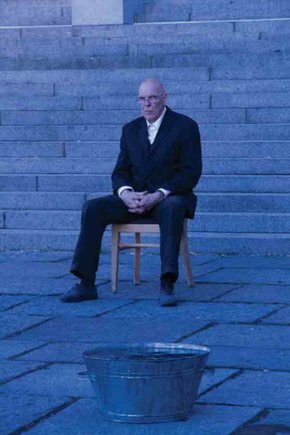 In collaboration with the Royal College of Art, London and the Central Academy of Fine Arts, bEIJING LIVE is also presenting a 3 day workshop Working Out – Working In under the direction of the legendary performance artist and Professor at the Royal College of Art, London, Nigel Rolfe. It will take place at the prestigious Central Academy of Fine Arts from October 12-14 2016. ‘Working Out and Working In’, not only describes site as a place but having an identity both outside and or within the self. The workshop proposes to create a group dynamic which can act both as an audience and a critical mass，or platform from which each artist/student can generate a live work. The rules are there are no rules; that the work be direct; that something is risked; that what is made is identified as useful to the participant. The call to action is: Come prepared to make a live work. travel light, think before you do and take that chance in this caring group dynamic to risk something you have wanted to try out, to extend yourself, outside your comfort zone. The work you make can be short and quick or slower, longer or durational. The emphasis is not on the final result but rather the learnt experience which will feed directly into your wider creative practice. The workshop shall begin with a short introduction followed by a roundtable introduction of each participant. The master class-workshop will extend the practice of the artists and students and present and develop their potential to include working live in their future practice. Nigel Rolfe. Professor at Royal College of Art, London.